...and a number of smaller enhancements and GUI improvements. 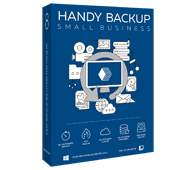 Also, there is a new Backup Comparison Tool on our website. If you’re not sure which edition is right for you, check it out! Full-featured edition that lets you back up all files, create disk image of a running server, and back up your databases! Free 30-days trial!